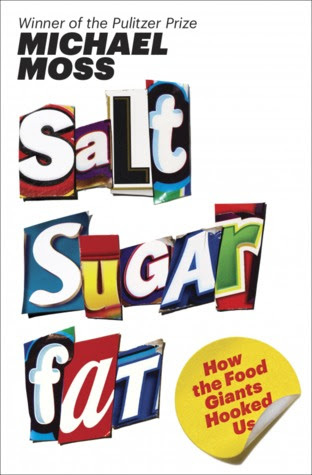 With Salt Sugar Fat: How the Food Giants Hooked Us, Pulitzer Prize winning investigative journalist Michael Moss has laid out the foundation and blueprints of the inevitable future raft of class action lawsuits targeting the food industry for knowingly and scientifically designing products that encourage their over-consumption despite their known and well understood risks. While I’m no lawyer, I did recently have the occasion to have breakfast with newly graduated law student and fructose shunning paediatric endocrinologist Dr. Robert Lustig (Author of Fat Chance: The Bitter Truth About Sugar) and when I asked Dr. Lustig about burden of proof (as unlike tobacco, it seems less clear that the food industry had sufficient knowledge of the potential harm of their products) his legal opinion was that there was plenty. And so begins Moss’ tour of where industry knows what it's doing may well be causing harm. It’s important here to point out that the food industry is simply doing what the food industry does which is strive to always sell more of their products, but what will matter to future litigators is whether or not they understood that their marketing and processing of the products would contribute to harm. In regard to obesity and still with Monell and sugar, Moss speaks with Michael Tordoff who recounts a study conducted on the beverage industry’s behalf in 1990 looking at the impact of consuming 40oz per day of diet soda vs 40oz per day of regular soda for a period of 3 weeks. Diet soda had no impact on weight, while during the regular soda arm, where the soda was sweetened with high fructose corn syrup, subjects gained half a pound per week. Broadly Moss explains that the typical practice for the food industry has been once one of the core pillars of salt, sugar or fat fall out of societal favour, for manufacturers to simply swap to a new pillar leading me to wonder whether we’re about to experience the low salt, low sugar era of high fat processed foods and whether or not that will be a useful formula or whether it will bring with it its own health concerns? The book is a painful joy to read. Painful because it does a bang up job of demonstrating just how screwed we all are – not only in that the food industry is savvier and scarier than we might imagine, but in the complicity of government to look the other way, or at times, as with the beef checkoff program, divert public funds to fight industry unfriendly messages as was done when the World Cancer Research Fund concluded that consuming processed meats raised the risk of developing cancer. Salt Sugar Fat also speaks to the marketing of “better for you”, “healthier” brand extensions which according to Moss, if done right, actually boost sales for the original less healthy mainline products – where these less awful versions actually serve as gateways to the awful brands, and likely, as Brian Wansink has shown, lead to excess Health Halo’d consumption in their own rights. The most fascinating part of the book for me had to do with a Frito-Lay executive named Dwight Riskey who was an expert in salty cravings. Riskey joined Frito-Lay in 1982 and at that time their predictions were dire. Studies had demonstrated that as we age we become less interested in salty snacks and consequent to the timing of the baby boom the prediction was that salty snack consumption was going to drop. Amazingly to Riskey and the rest of the food industry, rather than drop, sales were climbing. I found this part to be fascinating as it validated something I see regularly in my office. Riskey theorized that the rise in sales of salty snacks in contradiction with their predicted demise was due to a phenomonon that according to food industry data took root in the early 1980s - meal skipping. The 3 square meals days were dying as people were rushing out to start their increasingly frenetic lives. And most folks, in my experience, when they skip meals and snacks, get hungry, and like every supermarket and food executive knows (and as do we all), go shopping hungry and you’re much more likely to have a stroll down the chip aisle than if you go shopping on a full stomach. We simply don’t crave green leafy salads when we’re hungry – we crave salt, sugar and fat the holy trinity that in fact made up the entirety of Riskey’s product line. That the food industry’s job is to sell food isn’t in and of itself a surprise to anyone, though it’s a pleasure to read Moss’ recounting of their aims and how he truly hammers home the fact that regardless of how socially responsible their campaign sounds, ultimately it's designed to sell product, and while not part of the book, here's a short video from the Cannes Lion advertising awards put together by Kellogg's detailing the partnership between Frosted Flakes and ESPN (skip to 1:30 to see the impact on sales). As for my endorsement - simply put - if you eat food you should read this book. Want a copy? Click here for an Amazon Associates link.